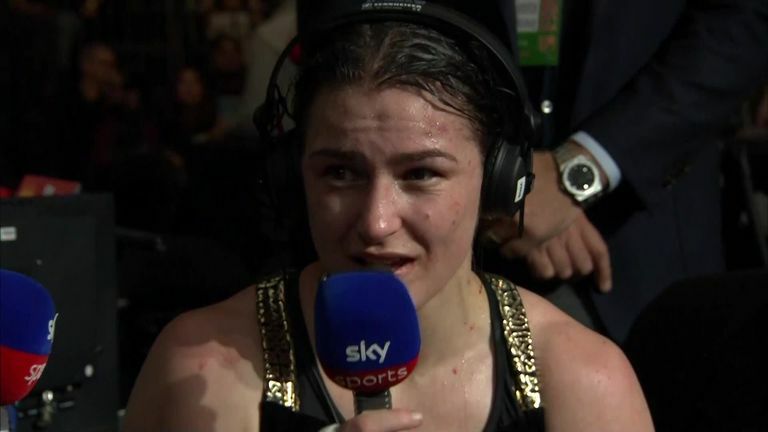 Katie Taylor is seeking another world title triumph on St Patrick's weekend as the WBA and IBF lightweight champion takes on WBO belt holder Rose Volante in Philadelphia. The Irish star will be just one title away from becoming the division's undisputed champion if she adds the WBO belt on Friday, March 15, live on Sky Sports, on a bill which also features Tevin Farmer's IBF super-featherweight title defence against Dublin's Jono Carroll. 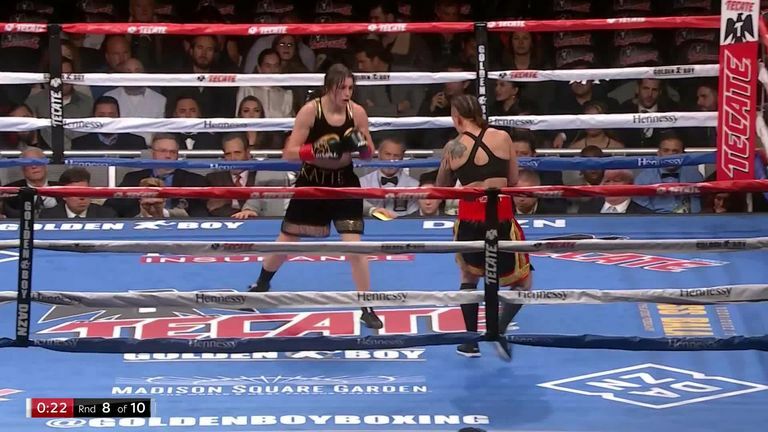 Volante, an unbeaten Brazilian, has defended her title with two stoppages since becoming WBO champion with a points win in 2017, and Taylor is braced for an explosive battle. "Ever since I won my first world title as a pro my goal has been to unify the lightweight titles, so this is obviously a massive step towards that," said Taylor, who could next target WBC champion Delfine Persoon. It's a great card to be on especially with so many Irish fighters on the bill on St Patrick's weekend in Philadelphia, so I'm sure it will be a special occasion. "Volante is unbeaten so I'm expecting a tough fight, but that's exactly the kind of challenge I want. I think the better the opponent and the bigger the challenge, the better I will perform. "It's a great card to be on, especially with so many Irish fighters on the bill on St Patrick's weekend in Philadelphia, so I'm sure it will be a special occasion." The unbeaten Carroll has received his first world title fight following a split decision draw with Guillaume Frenois in an IBF final eliminator in December. Both fighters have traded insults in recent months, with Carroll confident he will expose vulnerabilties in the flamboyant champion. "I see a fakeness in him when I see him interviewed, I see a fake person," said Carroll. "I reckon he's arrogant, that's the man I think he is - and I know he's that sort of flashy person saying stupid things on Twitter. He's never met a man like me in his life. "Tevin is a man that wants to be liked, but he plays like he's Floyd Mayweather, but he's not half as good as him. He has serious holes in his armoury, and I am going to poke every single one of them. I'll break him up and stop him. "He's never met a man like me in his life. He came from a rough background yes, but so did I. We're both from crazy places but we're in the limelight now, so we have to be grown-up and responsible as we're going to have cameras around us." A stacked card in support of the two world title fights is led by a crunch middleweight clash between Philadelphia's Gabriel Rosado and Pole Maciej Sulecki, and an all-Philadelphia lightweight showdown between Hank Lundy and Avery Sparrow.